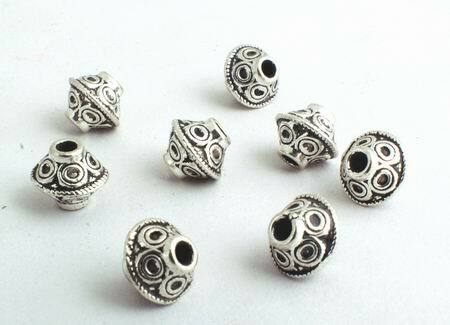 Sorry, we are currently sold out of '50 Magical Silver Spinning-Top Bead Spacers'. Please check back later. Price is per 50 of these beautiful Chinese silver metal spacers - each measures 6mm x 5mm. Hole: aprox 1mm.